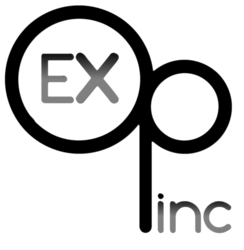 At Exceptional Opportunities, Inc., we take care to provide people with disabilities with high quality services individualized for their unique needs. Exceptional Opportunities’ Day Habilitation program called “Expanding Life Opportunities” (ELO) will provide opportunities and support for people to volunteer in the community, grow community relationships and experiences, and live a full life of their choice. 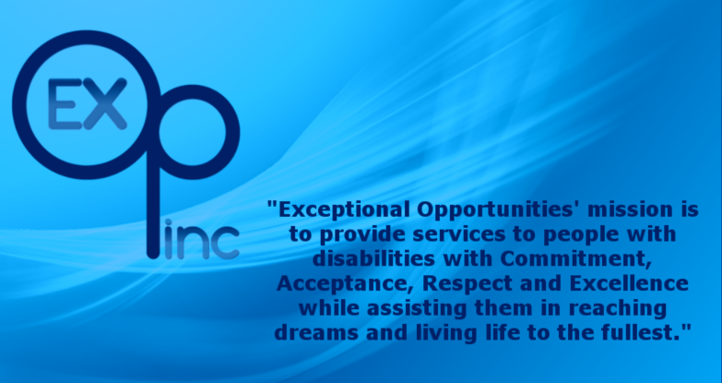 ELO provides group services in the community to adults with intellectual disabilities. Volunteer opportunities, and/or recreation and training opportunities may be provided to meet individual needs, interests, and preferences. ELO services are to assist or support the member in developing or maintaining life skills and community integration. Services enable or enhance the member’s intellectual functioning, physical and emotional health and development, language and communication development, cognitive functioning, socialization and community integration, functional skill development, behavior management, responsibility and self-direction, daily living activities, self-advocacy skills, leisure interests, or mobility. Individuals may choose to explore spiritual activities. Unique experiences build self-confidence and a certain amount of routine adds balance to the lives of people equipping them to more fully engage and enjoy the community they live in. It is our hope that participating in Day Habilitation will assist people in remaining connected with people, avoid isolation, or movement to a more restrictive setting. Exceptional Treasures is a used clothing and miscellaneous store located in downtown Algona on State Street. Our store opened in 1986 as an extension of the vocational program. The overall purpose of Exceptional Treasures is to provide work to individuals in a community setting. The jobs provided are geared towards helping individuals in the areas of developing increased responsibility, decision making, self confidence, and self esteem. Exceptional Opportunities believes that every person is a valued member of the community, worthy of respect and capable of contributing to the society. Employment adds meaning to our lives giving us a feeling of self-worth, providing income for necessities and wants, as well as offering a social connection to the greater community. Exceptional Opportunities staff will spend time getting to know and assess a person’s interests, skills, preferences of work, dreams, goals, dislikes, and more. This discovery helps guide the employment journey in the direction of a person’s choice. Various employment opportunities may be explored including work site assessments or job shadowing. We will help find employment matching a person’s skills and interest and see the person through the resume, application and interview process. Once a job is secured we will build the necessary supports to help a person be successful. ​Once a person has secured a job Exceptional Opportunities will build the necessary supports to help the person successfully maintain their community employment. These supports may include a written checklist of duties, pictorial checklist, arranging transportation, on the job training, and job coaching. A Job Coach can help a person learn the routine, improve the skills needed to perform the job, facilitate co-worker relationships, address work attitudes and behavior, manage changes in duties or supervisors, and more. Sometimes jobs are “customized” so a person completes only the duties best matched to their skills. The goal of community employment is to one day be able to perform the job with natural supports from the employer and only periodic supports from a paid job coach. Exceptional Opportunities is focused around assisting each individual towards achieving their fullest level of community participation as possible, including employment in the community. 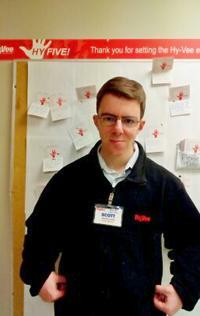 Through the customized employment program, participants are provided assistance with searching out employment opportunities (job search), assistance with learning the job and becoming familiar with their new work environment (job development), and ongoing support and assistance as needed to retain the community job (job support). Each persons program, goals, and schedule is tailored to meet their needs and desires.